Thrasios / Tymna has several variants. Breakfast Hulk is a self-mill combo that can go off with Flash + Protean Hulk, Hermit Druid, or Cephalid Illusionist + Nomads en-Kor. Once it has milled itself itself there are a few different possibilities to include, but all usually involve Dread Return I think. Paradox Scepter either slams Paradox Engine with a bunch of mana dorks in play and draws a ton of cards with Thrasios, or it plays Isochron Scepter + Dramatic Reversal to make infinite mana and draw the deck with Thrasios. It oftentimes features Vizier of Remedies + Devoted Druid as another way to get infinite mana (and draw the deck with Thrasios). I play Aluren combo, but it's not quite cEDH. I'm on a budget and Aluren is not as good as other options. Najeela has a couple ways it can make infinite combat phases. 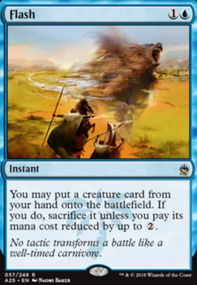 Druids' Repository, Sword of Feast and Famine, Nature's Will all allow the player to make 5 mana each combat. Teferi chain veil is a deck. It incorporates stax pieces to slow the game down before comboing. I don't know enough about cEDH to say anything more. I don't really know anything about Gitrog. while everyone is trying to cut dead cards, calculate the average mana cost of a deck, count the number of counter/removal/protection i thought i want to look at another strenght about decks. this is a view only about how much density there is in decks to find quick 2 card combos. the bigger the web between soft tutors in addition to hard tutors and overlapping combopieces the more opportunities will arise on average through all games you play. but one can visualize this web and count the numbers to see a decks combo opportunity. tutor chains can get you anything you desire. not fast but extending the tutor reach for all combos by quite a bit. survival is a little sloppy at combo No.3 as it can be a one card wincon. extra: flash hulk is instant speed here! Have you seen the new Gaea's Blessing hulk package? Cephalid Illusionist, Nomads en-Kor, Viscera Seer, Zulaport Cutthroat, Narcomoeba and Gaea's Blessing. Use Flash Hulk to reply and that's all the combo pieces you need. It's tighter on cards and is more relaxed on land requirements. It also can be deployed at instant speed so it's harder to disrupt. 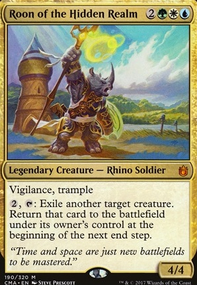 I know you mention the Kiki-Jiki, Mirror Breaker, Karmic Guide combo but there's another pretty cool combo that might be worth your consideration. 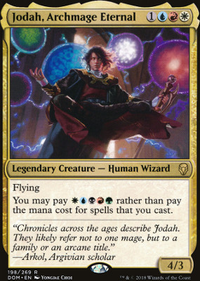 The combo uses the cards Cephalid Illusionist, Nomads en-Kor, Dread Return, Narcomoeba, Laboratory Maniac, and optionally Hapless Researcher. There are a couple ways to do the combo, but the gist of it is when protean hulk dies, get the illusionist, the nomad, and the researcher. With the remaining to mana to search for there are a couple things you can get, but I would recommend Grand Abolisher to secure your victory. Then target the illusionists with the nomads enough times so that it mills out your library. The first thing that happens is Narcomoeba. Then flashback Dread Return and sac the illusionists, the nomads, and the Narcomoeba, to return lab maniac. Then just sac the researchers to deck, and win the game. StopShot: I have thought about Aven Mindcensor for this deck multiple times. I crrently have it maybeboarded and it owuld be one of the cards which would be an easy swap. 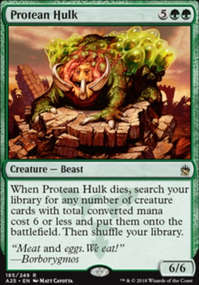 I have also thought about Silence (and in the past have actually stopped a hulk deck with it) however the new hulk line which has been discovered recently is Silence-proof. For reference it's Nomads en-Kor, Cephalid Illusionist, Viscera Seer and Zulaport Cutthroat with Gaea's Blessing and Narcomoeba in the library. From there you just mill until you hit jellyfish, sac it to seer and then keep milling unitl you hit blessing to resuffle. That being said, as you mentioned Silence is still very good (I swapped abolisher out for it in my Thrasios deck and have not looked back). I will maybeboard it for now. I have found that Aura Shards in this build is not actually as good as it might first seem. The problem with it is that you have to play it and then have a creature you can ETB with. The other thing is that it draws a lot of hate, so generally it gets removed pretty quickly. This means you can't just set it and forget it for later. Don't get me wrong, it's great in a stax deck but when your focus is combo then Qasali Pridemage is better. Even against stax, I have found that targetted removal is the more solid option. If you've got some time though I would be keen to get your thoughts on "cEDH" version of this list: Just Stay Dead: cEDH Edition. It's basically the same list but has been tweaked to drop some of the more rounded cards for speed. Hey, if you want to make your deck more competitive, Witch-Maw colors are great for combo. Hermit Druid is a famous combo, in which if you have no basic lands in your deck, you mill the whole thing into your graveyard. With a turn one Forest + Gemstone Caverns or Lotus Petal or something, by turn 2 you can mill your deck. 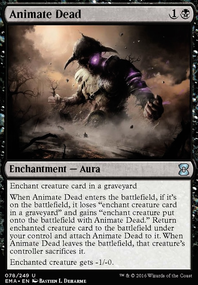 Narcomoeba will return from the graveyard to the battlefield, and if you play a land Bloodghast will return too! Fatestitcher can return for a single mana if you need it. As long as you have three creatures, you may flashback Dread Return a Necrotic Ooze back to your library, your whole library is in your graveyard, but remember, Phantasmagorian can discard any cards you may have accidentally drawn. Necrotic Ooze hopefully has the abilities of Wall of Roots, Blighted Bat, Devoted Druid, Channeler Initiate, and Walking Ballista. You use Wall of Roots's ability, and get a . Put that mana into Blighted Bat's ability, giving Necrotic Ooze haste. Tap Necrotic Ooze to Devoted Druid's ability, getting , then untap with Devoted Druid's second ability. Tap it again, but this time to Channeler Initiate's ability, and get another mana. Use both Devoted Druid's second ability and Channeler Initiate's ability over and over again to make mana, and put it all into Walking Ballista's ability to put infinite +1/+1 counters on it. Then use Walking Ballista's other ability to remove all of those counters, killing each of your opponents. Easy win, one card (Hermit Druid), turn 2 win. Demonic Tutor, Vampiric Tutor, Imperial Seal, Eladamri's Call, Green Sun's Zenith, Summoner's Pact, Worldly Tutor, Eldritch Evolution, Sylvan Tutor, Grim Tutor, Beseech the Queen, and cards of that nature can fetch it up, leading to ~20 "one card combos". 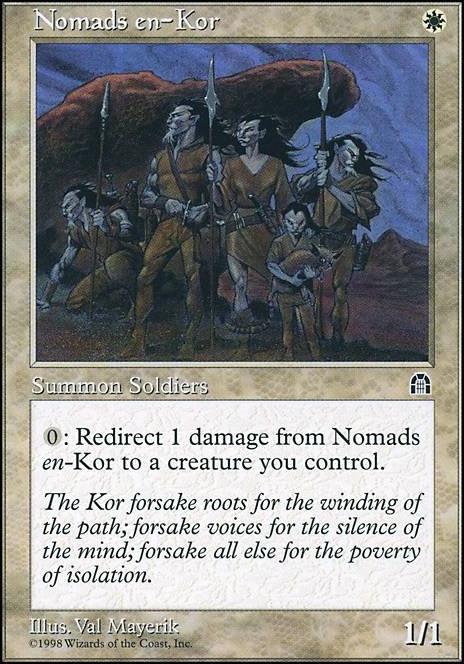 Cephalid Illusionist + Nomads en-Kor also allow you to mill out your whole library, winning in the same method, and do not require you to run no basic lands! 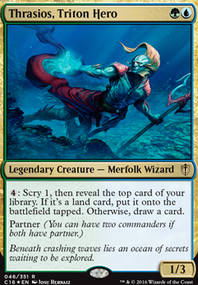 Flash + Protean Hulk also allows you to find Grand Abolisher, Cephalid Illusionist, and Nomads en-Kor, allowing you to win turn 1, if you have Lotus Petal or Gemstone Caverns or Mana Crypt or Chrome Mox or Mox Diamond, a land, and Flash + Protean Hulk, isn't that a fast win! Other than that, self-mill combo-decks that put their whole library into their graveyard all are able to protect against the likes of Faerie Macabre and stuff of that nature by running Memory's Journey and Deep Analysis and Phantasmagorian, so if they attempt to exile some of your combo, you can shuffle it back into your library, draw it, and discard it all to save yourself! Krosan Reclamation, Think Twice, and stuff of that nature are occasionally run too!